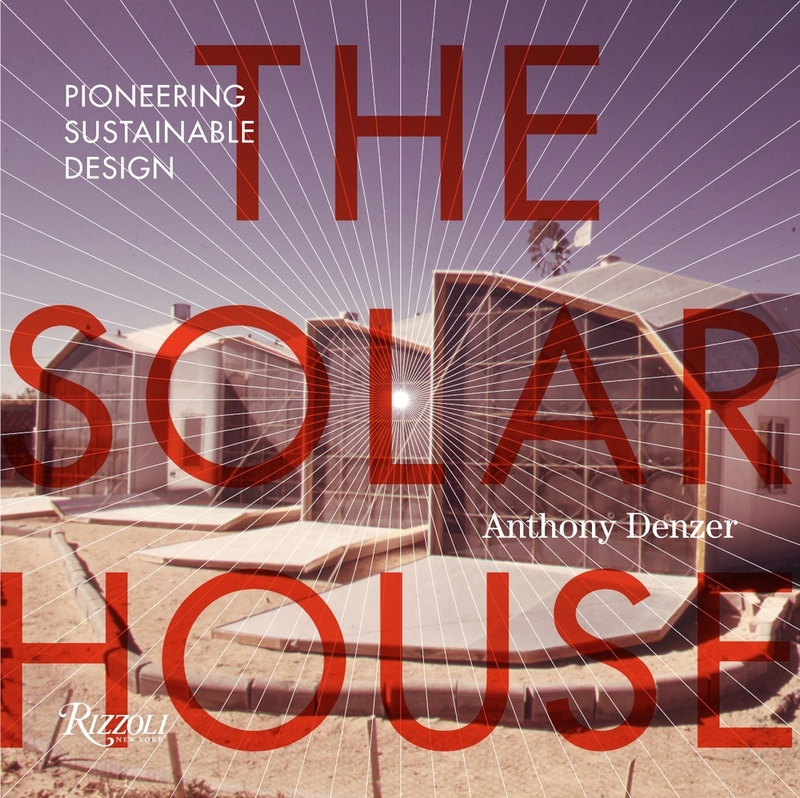 Last week at the Architectural Engineering Institute (AEI) conference I presented a paper called “The Solar Architecture Taxonomy: A Historical Analysis.” My co-author Jon Gardzelewski and I analyzed 180 solar buildings from the 1970s to see how architects used solar panels when they became commercially-available for the first time. There is very little design theory addressing solar panels. We presume this might have value for designers who wish to use PV in the future. We found the most common design strategy was to create ‘solar form’—to shape (or distort) the building form so that panels face the south sky. 72% of the 180 buildings in our survey had solar form. In our reading, this design strategy is derived from early-modernist theory (“form follows function”). To distinguish between strong form and weak form does not necessarily imply a value judgment. Some examples of strong form are strongly eccentric; they look dated in retrospect. Some examples of weak form certainly represent sophisticated design thinking, as they reflect the influence of Postmodern architectural theory in the 1970s, where the expression of “complexity and contradiction” (Venturi, 1966) became a positive goal for architectural design. 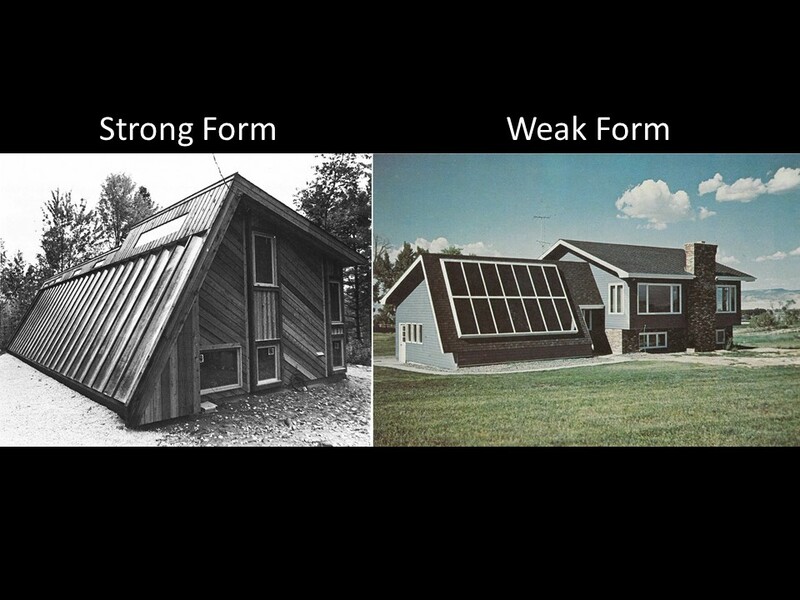 Other examples of weak form—typically houses—are compromised by an apparent desire to ‘fit in’ to a traditional vocabulary, or to simply not appear eccentric. The magazine Popular Science found “researchers … were trying to make their projects look as much like other houses on the block as possible” (Luckett, 1974).